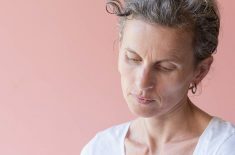 Memory loss and brain fog are not uncommon during perimenopause — and can be as difficult to deal with as physical symptoms like hot flashes. Watch the video above to hear Oni’s thoughts on memory loss and brain fog during menopause, or read the written summary below. Have you ever walked into a room only to forget why you were there? Or searched frantically for your glasses before realizing they were on top of your head the whole time? Memory loss and forgetfulness are common in menopausal women, but sometimes it goes further than that. Brain fog is almost like having an out of body experience — you’re walking through life with fuzzy glasses on, and your thoughts are not connecting. When you’re in perimenopause your hormones are out of whack. 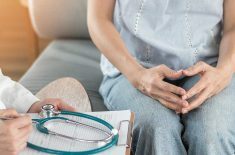 Your estrogen, testosterone, and progesterone levels are all depleting, and this can cause a whole host of problems. The depletion of estrogen in particular can be a big problem when it comes to memory loss and brain fog, because estrogen helps us with our cognitive functioning. First of all, see your physician to rule out any illness, and make sure perimenopause is the cause of your cognitive troubles. You’ll also want to take inventory of your life. Are you getting enough sleep? Are you drinking enough water? Are you stressed out for some reason? Have you had a recent head trauma? Are you consuming too much alcohol? All of these things can cause memory loss. Once you figure out that you’re not sick, you’re not old, and you’re not going to too many happy hours, you can embark on the mission of fixing the hormones. At the basic level, it’s fairly easy to regulate your hormones and balance things out through simple lifestyle changes like diet, exercise, and making sure you don’t have any vitamin deficiencies. Mental exercises can help too — take up a new hobby, learn a new language. At the very least, pull out those crossword puzzles or a Sudoku. Although these lifestyle changes are great for menopausal women — and everyone! — they don’t always work. At this point you may want to consider taking a phytoestrogen, like black cohosh, or a hormone regulator like maca root. If you find nothing seems to help, definitely consult your physician. You may need a pharmaceutical option, such as hormone replacement therapy. There are pros and cons to all these remedies, so be sure to do you research and your due diligence. 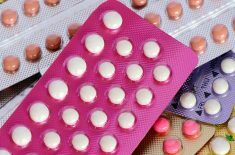 Do you need to take hormone replacement therapy (HRT) when you reach menopause? Read on to learn more about HRT and alternatives here. 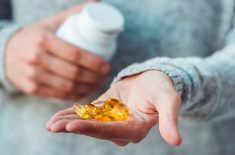 Considering taking supplements or vitamins for menopause symptoms? Read on to learn about the five best vitamins for menopausal women here.